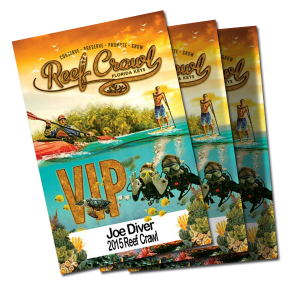 Register for the 2015 Reef Crawl & Score a Single Pass or VIP 6-Pack before August 20, 2015 & Score Big! Proceeds Benefit Local Conservation Efforts! SINGLE PASS – Save $20.00 before Price Increases. VIP 6-PACKS – Register Five & Get One Registration Free & Save $100.00 before Price Increase.